Our little gardeners showing the way to a greener world! 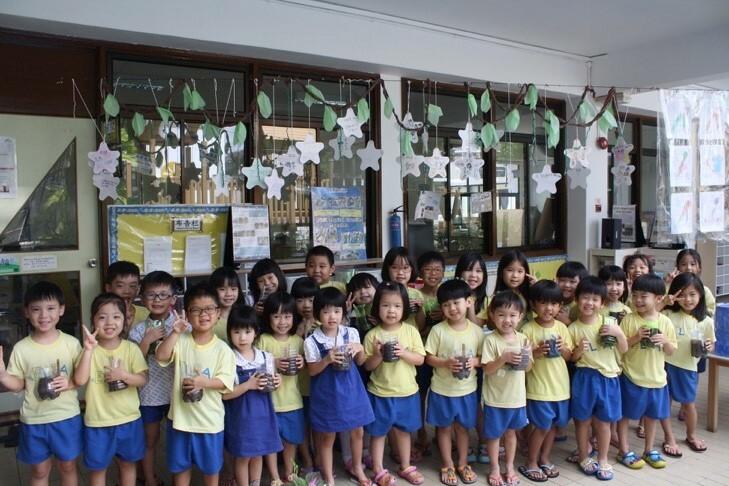 Observing Earth day on 20 April 2018 gave the children of ELFA Preschool @ Serangoon the opportunity to contribute to a better school environment. The children as young as 2 years old joined hands to create a garden in the school premises. Teachers who attended the NParks talk last May demonstrated to the children the proper way to cultivate and take of plants. 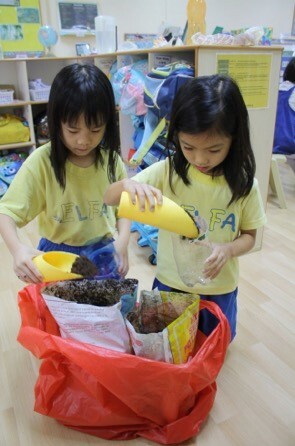 The children sowed seeds to grow vegetable, herbs and flowering plants and learned how to water them. 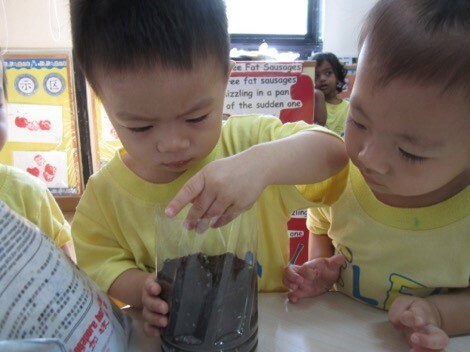 From that day, the children showed continuous concern and care as they watched their plants grow. Thumbs up for the little ones for not taking living things and the earth for granted! 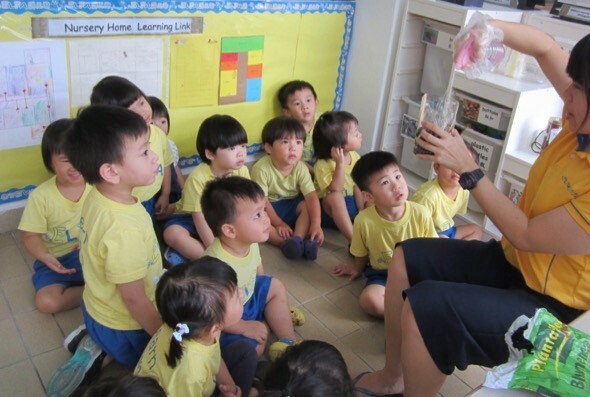 Observation skills put to the test as teacher shows the children how to water the plants. Scooping soil into our recycled plastic bottle pots. Let’s plant our seeds in the soil.